For more than three decades, Medfield, MA-based The Paint Project Inc. sold and serviced painting equipment for professional painters. In the past year, the company went all-in on an expansion, adding a new 4,000-sq-ft sprayer training facility to its enterprise. Owner Bob Zaffino says he’s responding to demand. More and more professional painting companies are looking for sprayer equipment training, primarily for those new to the field—but also for long-time pros who may not be knowledgeable on some of the latest equipment advances. “We see there’s a necessity for these newcomers to be trained correctly. They come in and they’re kind of clueless about airless, HVLPs, electrostatics, and what that all means,” Zaffino said. Zaffino will often see full crews for 4–8-hour sessions. Having access to a wide variety of equipment, his trainers can quickly delve into the basics of the equipment a particular contractor is using, helping pros understand critical DOs and DON’Ts, troubleshooting and maintenance. “You see it where someone is prepping a job but then the sprayer goes down. How do you fix it and get it back up and running? It’s no different than driving a vehicle and knowing how to put on a spare tire,” Zaffino added. Poor maintenance often brings its share of spraying problems as well, from gummed-up tips taxing the machine to inconsistent coverage and other concerns. “Some will come in and the pumps are filthy on the inside. Their screens, strainers and filters are dirty and it all causes premature wear on the pumps, too,” the trainer emphasized. 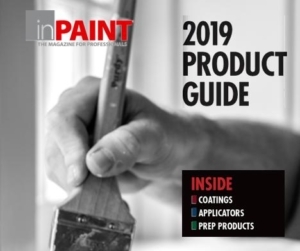 With the shift to water-based latex and lower-VOC paints in the past 20 years, equipment manufacturers have responded with different tip technology to accommodate formulation changes. Zaffino said prepping the paint and paying attention to MSDS sheets—as well as tweaks that come with cooler weather—all play critical roles in assuring a pro is getting the job done right. Spray technique for a variety of substrates is also evaluated. “You’ll hear people say ‘I never knew that. No one ever trained me.’ That’s why this is so valuable,” Zaffino said. 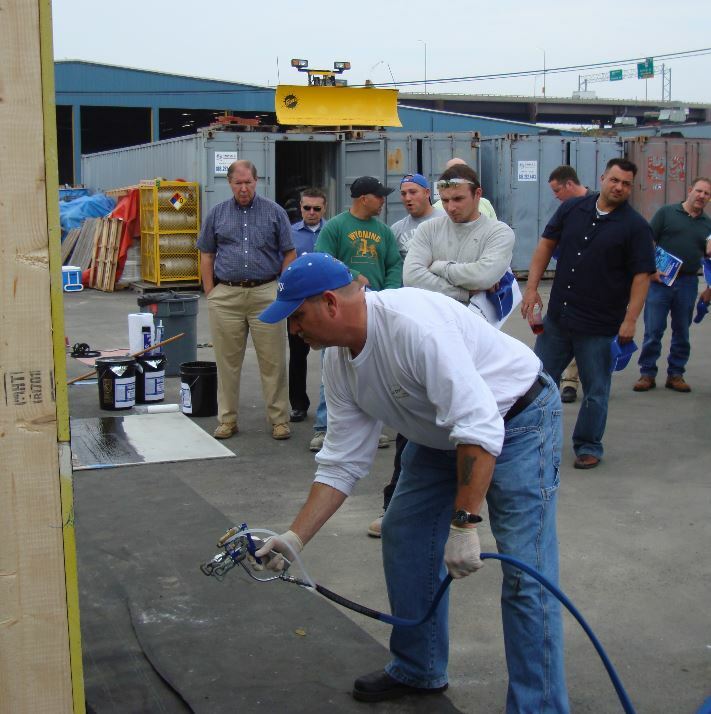 Sprayer training can also be used to attract the next generation of painting professionals. Scott Burt, cofounder/co-owner of Prep to Finish, a VT-based training company that serves painting crews all around the country, says a primary reason he created his firm was to recruit young talent to the field. His company visits high school technical programs to conduct trainings and to introduce the field to those eyeing the trades for careers. Teach them correctly and help them understand they have a chance to build a career quickly—that’s a big part of Burt’s philosophy. “Vocational programs in high schools do a really good job of setting students up for plumbing, electrical or carpentry, but there’s no paint curriculum. We bring that curriculum into the building trades programs,” Burt said.